Early Christmas Vacation…Not what you think! Less is more has become my mantra over the last few weeks after having a fall at school on December 12th. This fall resulted in me having my first ambulance trip to the hospital and an early Christmas Break, due to a mild concussion and back and neck pain. The good news is that I am on the mend and plan on heading into 2018 with a renewed purpose and passion for learning and leading. taking time off work has allowed my crew to do more; they have stepped up and have realized they are the awesome leaders I know them to be! As leaders, we are always doing so much for our schools; for our teachers, students and parent community because we are passionate about our roles. This has been my role as an elementary principal…to serve others…and it thrills me to be able to support my “crew” to be the best they can be in their teaching and with the students they serve on a daily basis. In speaking with my assistant superintendent while I have been off work, she reiterated what I know to be true about my crew and that is that they are awesome. People step up and lead when opportunities arise and this is exactly what my crew did. My crew wanted to do more so that I could do less…because, they said, I do so much! I was humbled to hear this but at the same time very proud of the team we have become. The message was that they were happy to take over and give back! Maybe doing less is more and this realization has resulted in my reflection and focus for 2018. Jimmy Casa, in his book, Culturize states… As leaders we need to do a better job of focusing on less and doing it better while providing more time and the right support for our teachers. 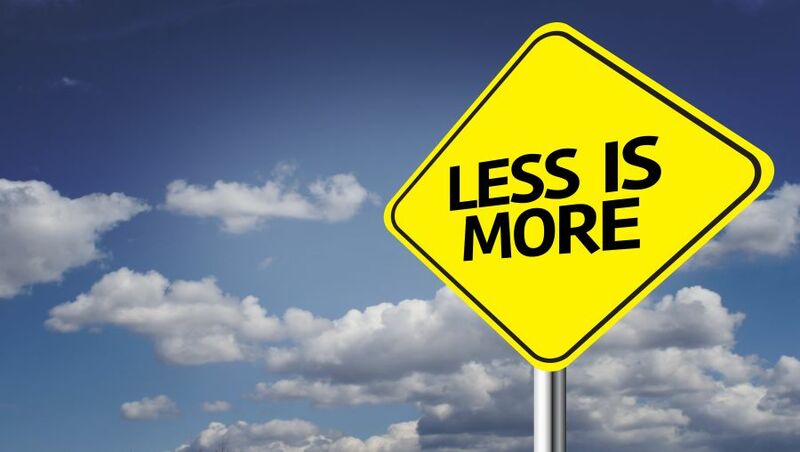 I believe focusing on less while providing more can be applied across the greater school community. Living and developing a less is more philosophy will be scary, I won’t lie. However, I am committed to being more to myself and my family. When we become more to ourselves, the benefits will spill over into all facets of our lives and isn’t this the greatest gift we can give to others?